Posted on February 27, 2014, in Award Season and tagged Academy Awards, Award Season, Awards. Bookmark the permalink. 35 Comments. Thanks Eric! I’m guessing you’re not posting a prediction list ;)? Cool. I actually just scheduled my predictions post to go up on Saturday morning. We agree on some. Awesome Fernando! Look forward to checking out your thoughts :). I completely forgot the Oscars were on this Sunday. I’m officially pumped! I know! I can’t wait to watch :). If DiCaprio doesn’t win, we riot! Not a big fan of Blue Jasmine, Blanchett will probably win, but Bullock is just too good in Gravity. No arguments with your view on best picture. I love Her, Wolf of Wall Street, hell, even Inside Llewyn Davis which got snubbed more than most of the nominees, but I had to pick a favourite! 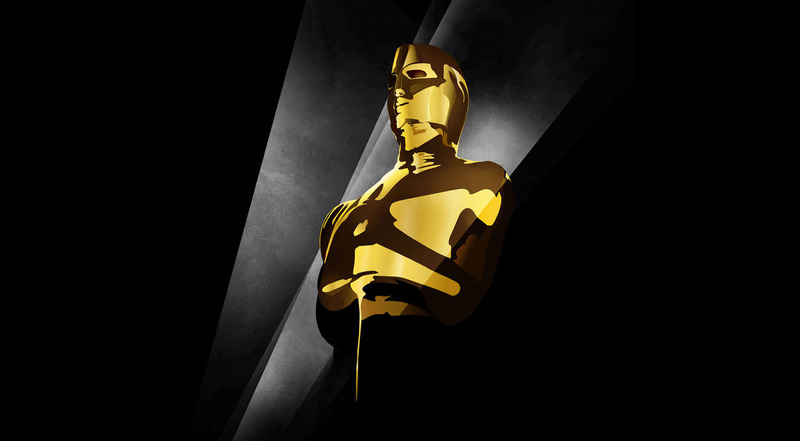 Played the Oscar game, loved it :). You’re too right, if we all loved the same thing, cinema would be a boring vice! I’d also agree (and hope) that Her will take the best original screenplay. It has to, surely? If Her doesn’t win, there’s something seriously wrong with the Academy lol. It’s hard to argue with best picture and director, but yeah, acting Oscars could go to anyone. I picked my personal favourites more than what I think is going to win. I’m pretty sure I picked Nyong’o as well, really hope Leto doesn’t win, wouldn’t mind if McConaughey wins, and in my opinion, Bullock acted circles around Blanchett this year. Well, to each their own :). Yeah, sorry man! I meant to say I agree with you Nyong’o choice, although Lawrence seems to be well loved by the academy. Personally, I’d love to see June Squibb take that one. Can’t argue at all with who wins best actor but whoever does, is a worthy winner. Some really solid picks here! A lot of work clearly went into that mate! I’d go along with most of this except Best Actor/Actress. I think Ejiofor and Blachett will get it personally. I did spend a lot of time composing this lol, thanks for noticing :). Wouldn’t be surprised if Ejiofor and Blanchett took their categories respectively, just really hoping otherwise ;). Especially for Leo! Thanks bud! I really hope The Hunt wins as well :). Leo, pound for pound, gave a way better performance than either McConaughey or Ejiofor, in my opinion. That being said, I know it’ll take a miracle for him to win, but I’m not going to cease cheering him on lol. I wouldn’t want him to win for this though… I feel he’s been a lot better in a lot of other roles. Too true, at this point though, it’s scaring me that he’s gone this long without a win. So I just kind of want the first one out of the way, you know? I wish he had a shot last year as I think his role as Calvin Candie is far more impressive than his other performances, given it was his first shot at being a villain. Leo as Calvin really was something special. That being said, I much prefer his role as Jordan and Wolf of Wall Street trumps Django, in my opinion. Interesting choices mate. I think the best actor category is ridiculously good this year, so hard to call it. I think McConaughey or Ejiofor will get it though, and I reckon Leto will get supporting. Both the actress categories are reasonably ‘weak’ this year though, doesn’t feel like much competition in those ones. Yeah, not a lot to fight about on the women’s side of things, but the actor categories are tough to decipher. I just really hope Leo wins and Leto doesn’t! I like Leto, his performance jus isn’t Oscar worthy in my opinion. Everything seems locked up apart from supporting actress. I’m predicting Lupita, although I wouldn’t be surprised if Lawrence won. Are you excited to see Ellen host? If Lawrence wins, it wouldn’t surprise me either. I feel that supporting actress is a little weak this year anyway. I went with my heart for most of the picks so it wouldn’t knock me off my feet if I get a lot of predictions wrong lol. Although I’m not a talk show kind of person and I don’t watch a lot of daytime TV, Ellen really does seem to enjoy what she does and everyone seems to love her, so yeah, I’m content with Ellen ;). I can’t decide between 12 Years a Slave and Gravity for Best Picture. I guess it depends what the Academy voters’ moods are but I think you’ll be proven right…12 Years a Slave has the pedigree and the right component parts (hard-hitting drama and powerhouse performances) to win. I’d like to see Nebraska get a few awards – maybe best actor for Dern and best Screenplay but I fear it’ll be beaten to the post. I’d rather Wolf of Wall Street win best picture, but that ain’t going to happen lol. Nebraska seems to be the odd film out this year, but one may carry hope. Personally I didn’t enjoy that flick as much as others. We will find out all on Sunday lol.